Why would I need self storage in Florence, KY? There are a variety of reasons why you might need self-storage in Florence, KY.
How much is a storage unit in Florence, KY? The cheapest storage unit in Florence, KY is $58.00 per month. What size storage units do you have available in Florence, KY? In Florence, KY we have sizes that range from 5'x10' to 15'x36' to suit your storage needs. How much is it for a 5'x10' storage unit in Florence, KY? The cheapest 5'x10' storage unit in Florence, KY is $58.00 per month. Florence is a midsize city in central Kentucky, home to a growing population that includes many young families. A number of local events bring the community together, while several parks and a variety of recreation programs offer plenty of fun. 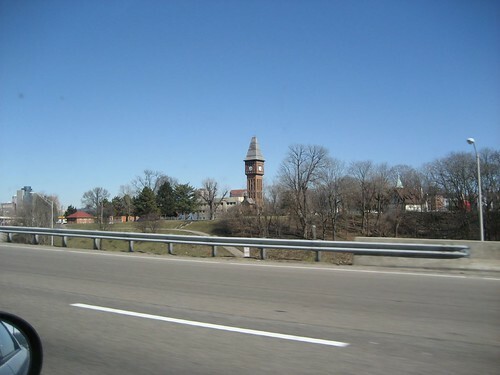 The town is only about 12 miles from Cincinnati, Ohio, giving residents easy access to the amenities and jobs of the larger city. The area where Florence is now located was originally populated by settlers who came down the Ohio River looking for something new. Originally, the area was called Crossroads, because it was a convergence point for several regional roads. The name was changed to Maddentown in 1821, after Thomas Madden, who owned a farm in the area. When Madden left the area, the community again changed names. In 1828, it was rechristened Connorsville after Jacob Connor, a local settler who took charge of the growing community. Finally, the town was renamed Florence, because there was already a city in the area by the name of Connersville. Florence was incorporated in 1860. Despite the community's many changes, it still only had 10 families during its first census in 1862. Its eventual growth is attributed to the Covington and Lexington Turnpike Road. The road was set to pass through Florence, and the town became one of the designated stops on the route. This drew a number of new people to the area, accelerating growth and development. Florence is a popular home base for working professionals, families and retirees alike. The low cost of living is an attractive factor, as are the active job market and local amenities. Every day conveniences like grocery stores, coffee shops and fitness centers are easy to find in Florence. The town offers plenty of health care options, including three hospitals and a number of nursing homes, home health centers and dialysis facilities. Florence also has four schools of higher education, including Beckfield College-Florence. In addition, there are seven colleges and universities within 25 miles, giving you plenty of options for pursuing a degree. Local parks like Florence Nature Park and Orleans park offer children's play spaces, picnic areas, walking trails and sports courts. If you'll be joining the local job market, there are several large employers in the area that span a variety of industries. Southern Air and Kona Ice are two companies headquartered in the city, and St. Elizabeth Healthcare, Boone County Schools and Eagle Manufacturing also provide a number of jobs. Retail jobs are plentiful at large stores like Costco and Walmart. Boone County School District serves the public schools of Florence. Special district programs include early childhood education, advanced placement classes and special education options. There are a few options for private school as well, mostly for early childhood education. Utilities: The main energy provider in the area is Owen Electric Cooperative. The city manages its own water and sewer services. Garbage and Recycling: Trash and recyclables are collected on a regular basis, with a small fee billed for each service. Transportation: The Transit Authority of Northern Kentucky facilitates public transportation in and around Florence. Florence is an affordable alternative to the nearby big city of Cincinnati, with a median home price that falls well below national averages as well. You can easily purchase a spacious, single-family home for a budget-friendly price, and rising home values mean you have the opportunity to make a good investment. The rental market also provides plenty of options, including apartments, town homes and condos. Our lowest priced units in Florence, KY average $63.00 per month. 104 people have reserved units in Florence, KY in the past 30 days. There are 2 locations within Florence, KY's city limits. There is 1 location in Florence, KY that offers AC and Heating features.